Las Villas de San Buenas is a gated community, of approximately 52 acres in size, located in Costa Rica’s beautiful Osa/Bahia Ballena region, just a short five minute drive south of Ojochal. We are in the early stages of our Phase I, where we have built two homes for customers, and a third home that is the Fractional Ownership option, along with a rancho and the guard house. There are many of advantages of owning here…so many in fact, we have page dedicated to all of the advantages here. Las Villas de San Buenas will be one of the largest gated communities in the southern zone of Costa Rica, and we are committed to being great stewards to the environment. We have already removed 1,000’s of non-indigenous trees, planted over 1,000 native trees, flowers and ornamentals, with the support of Fundacion Sembrando Agua, a non-profit organization focused on reforesting Costa Rica with only indigenous trees. In Central Park, we are planning to have a a community swimming pool, tennis court and several picnic areas. In our other four community parks/green spaces, we are planning to have smaller community swimming pools. 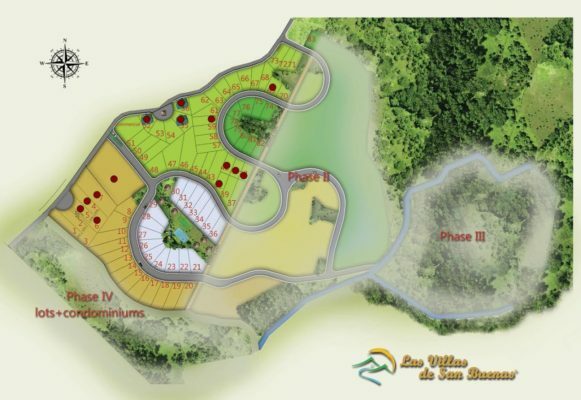 The Estate Lots are outside Las Villas de San Buenas and the regulated condominium section. 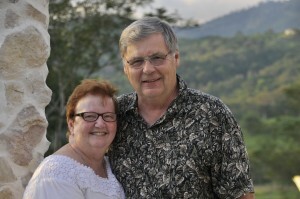 The Estate Lots have ocean view lots, river front lots, and is the location of our planned retreat center. The mountain top is also in the Estate Lots region. The land that is now Las Villas de San Buenas was originally part of an 150 acre farm owned by a local family. Since then it has started to transform into the ideal location for owners, investors and visitors from literally around the world (and the family we purchased it from is still nearby too! ).